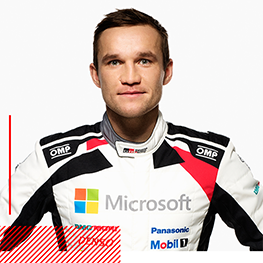 After a successful debut for the Toyota Yaris WRC in 2017, with victories in Rally Sweden and Finland, TOYOTA GAZOO Racing head into the 2018 FIA World Rally Championship (WRC) season ready to push the limits for better. 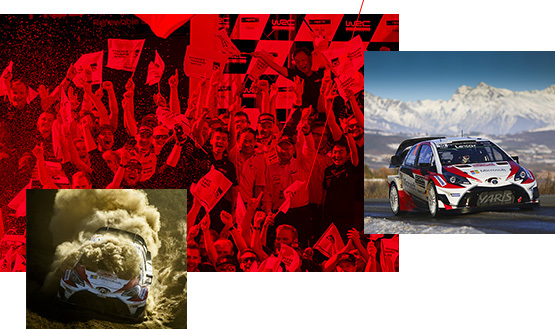 Armed with more knowledge, an improved Yaris WRC and a dynamic driver line-up, all the ingredients are in place for an unforgettable year, as we continue our quest to make ever-better cars through world rally. 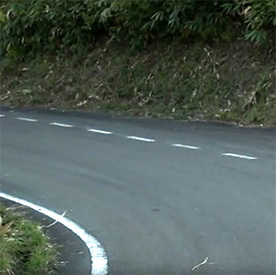 Toyota’s rich history in international motorsport began at the 1957 Round Australia Rally. After a momentous first WRC win at the 1,000 Lakes Rally in 1975, we went on to record a series of landmark victories in the years that followed. 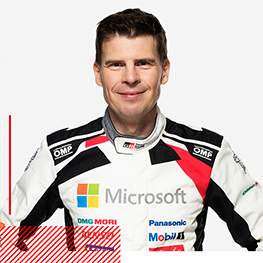 Thanks to superstar drivers like Juha Kankkunen and Carlos Sainz at the wheel of legendary cars such as the Celica GT-Four and Corolla WRC, passionate fans are likely to remember Toyota’s WRC efforts in the late 80s and 90s most fondly. 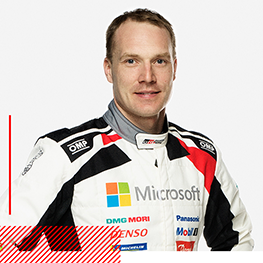 Up until the end of our factory-based team initiatives in 1999, Toyota made WRC history with three manufacturers’ and four drivers’ titles. 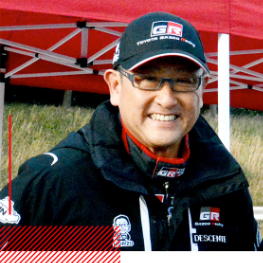 Our entry was then paused until 2015 when Akio Toyoda announced that Toyota would return to the WRC in 2017. 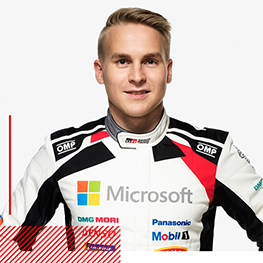 The Toyota Yaris WRC is a new generation rally car, tuned to near perfection in compliance with the 2017 FIA World Rally Car Technical Regulations. Due to a high-performance 1.6-litre turbo-charged engine, intelligent 4WD system and finely-tuned aerodynamics it can be driven safely at the limit on the world’s most demanding rally stages. 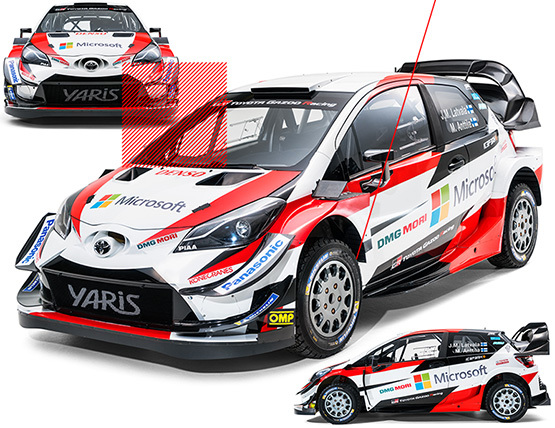 Based on lessons learned during our last season, the 2018 Yaris WRC features an upgraded aerodynamics package for increased front downforce and an update to the cooling system, which will benefit the team in the WRC’s hotter events. 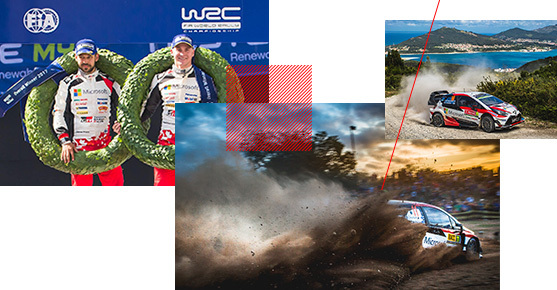 Read the latest Toyota news from every World Rally Championship round. 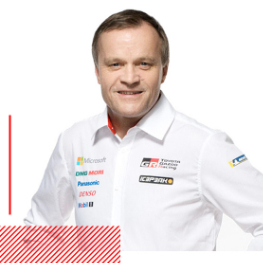 a passionate group of individuals based in Puppolla, Finland, led by four-time world champion, Tommi Mäkinen. 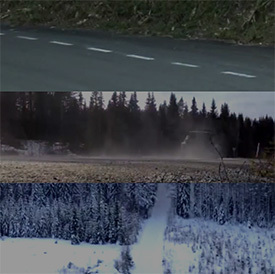 The World Rally Championship’s combination of driving heroics, changeable conditions and global locations make it truly spectacular. 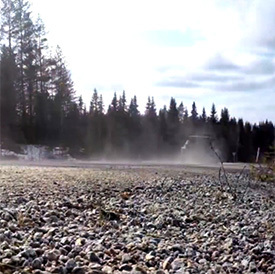 But unlike mass-start circuit racing, rally’s unique in pitting drivers against the clock only a few minutes apart on closed roads. TOYOTA GAZOO Racing Global The home of TOYOTA GAZOO Racing activities around the world TOYOTA GAZOO Racing South Africa Follow #TeamHilux as they take on Dakar 2018 TOYOTA GAZOO Racing From deserts to dunes, gravel to snow, day to night, we’re committed to overcoming every limit to make ever-better cars. 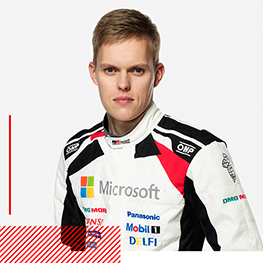 Discover more about TOYOTA GAZOO Racing’s motorsport activities. The tougher, the better: Toyota at the Dakar Rally Under the extreme conditions of motorsport, we forge new technologies and in the toughest challenges, find new solutions and new ways to improve. One race typifies this spirit more than any other: the Dakar Rally. Here, quality, durability and reliability are vital. Toyota’s fight for Le Mans victory In a personal testimony, Toyota president, Akio Toyoda, reflects on the heartbreak of TOYOTA GAZOO Racing’s entry in the 2016 Le Mans 24 Hours race. A memory our president vows to lay to rest in 2017. Toyota at the Geneva Motor Show 2017 | Toyota Europe From a first glimpse of the dynamic new 2017 Yaris, the hot Yaris GRMN, the radical urban i-TRIL Concept to the latest TOYOTA GAZOO Racing machinery – the Geneva International Motor Show is the place every Toyota fan should be. 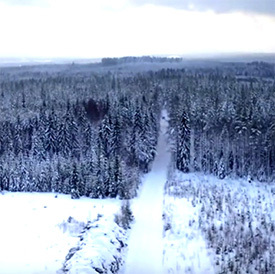 Victory for Toyota Yaris WRC at Rally Sweden For the first time since 1999, Toyota has won a round of the World Rally Championship, a feat achieved on only the second event for the all-new Yaris WRC. Toyota's Journey to Dakar 2017 Dakar’s back for its eighth successive year in South America, join the action and follow the Toyota teams' progress.